Science is clear: You don't need to go crazy working out for 60 minutes every day in the 'fat burning zone' to lose weight and get fit. All you need is 4 minutes of Tabata Training. Welcome to The Ultimate Tabata Training Course where you will get 20+ Tabata Videos in my home, in a park and on a beach. Start your year 2018, with me, your health coach Akash [Me], and let me help you get in the best shape of your life. More than 15,000+ students have trusted me and now it's your turn! 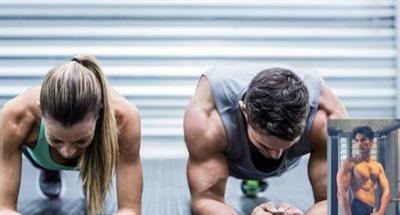 Tabata Training is a comprehensive course for people of all fitness levels. Are you a beginner, who has no experience in Tabata training? No problem, I'll take you home. Are you an intermediate/advanced trainee looking to incorporate Tabata training your exercise regime? You have to come to the right place, where I will provide you a complete roadmap for 8 weeks and how you can use the Tabata Workout Videos in specific sequence to make the most out of your training! Simply follow the exact step-by step Tabata workouts in a manner which is provided specific to your goals, fitness levels and your overall training routine. Warm up video, safety guidelines with 5 Key Check points that you should follow that will help you drastically reduce the risk of injuring yourself. Technique and Form Video of Key Movements like Squats, Pushup and many more! -All these beginners workout videos are great for anyone with ZERO Fitness levels and anyone looking to start their fitness journey.